Is your air conditioning system not as reliable as you want it to be? Get it serviced or repaired by our expert HVAC engineers right now before summer is upon us and temperatures are soaring high! 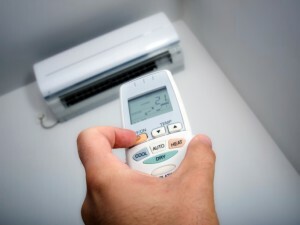 If you doubt that the temperature in your home or work environment is balanced and you want to do something to change that, the best option you can choose is to install an air conditioner. A system that has both the options to cool the air during the hot summer days and heat it during the winter is a good choice. Choose the best and most reliable company to call if you need an air conditioning repair, maintenance or installation in particular around the Brandon, MS area. Our employees have many years of combined experience which allows us to proudly announce that we are knowledgeable experts in the air conditioning field. Cerami AC & Heating is a leading air conditioning contractor in the Brandon area and knows how to pamper you in every respect. We can install, replace or repair your air conditioner or heating unit according to the instructions that your AC manufacturer suggested. We are certified and licensed and provide AC services that can stand the test of time. Although air conditioning repairing, installing and maintaining can be a daunting and lengthy task, we are here to help you. We have managed to assist hundreds of families in the local community to enjoy a comfortable home atmosphere by installing an AC unit in their home or office buildings. Even though providing HVAC system services includes physical work, our experts are educated and qualified enough to offer informed advice services to those of you who are still hesitant about the make and model of AC system that you have to purchase. You can count on us to recommend an HVAC unit that will be suitable for the property you inhabit or work in. Just call our office, schedule a viewing appointment and discuss the possibilities with the technician we will send on site. The best thing about that option is that we will not charge you a single dollar before we start the actual work, so that initial viewing appointment will be complementary if you join the happy family of our satisfied customers. Leave all the meticulous planning and detailed preparation to us and enjoy your free time by investing it in more important activities. We have the field experience and knowledge of an air conditioning contractor with a great amount of experience and skills, which allows us to provide you with a written guarantee for our heating and air conditioner repair, installation and maintenance services. The reputation we have does not affect our rates, however. Everyone in the Brandon, MS area knows that we provide the best service quality without applying astronomical prices. We can deliver our premium HVAC services right to your door, anytime you need us. Just call (601) 317-0729 today and we will be at your property with the proper tools and equipment before you know it.